Today is my turn in the Winter wonderland Sew Along. I love snowflakes and all the wonderful patterns you can see in a tiny, icy miracle. 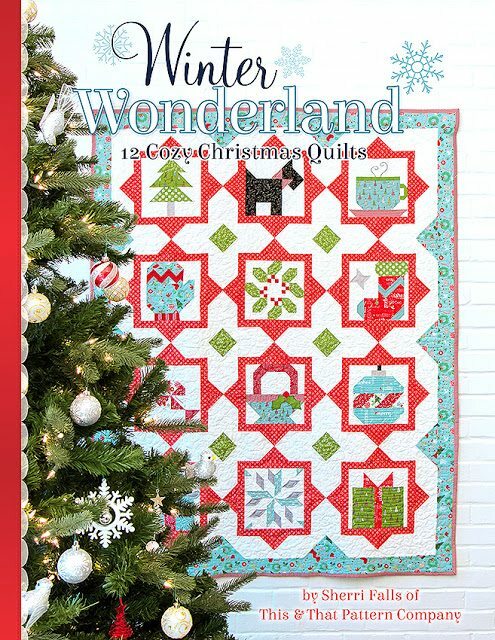 Snowflake is the 11th block from the 12 block sampler quilt in Sherri Fall’s Winter Wonderland book. 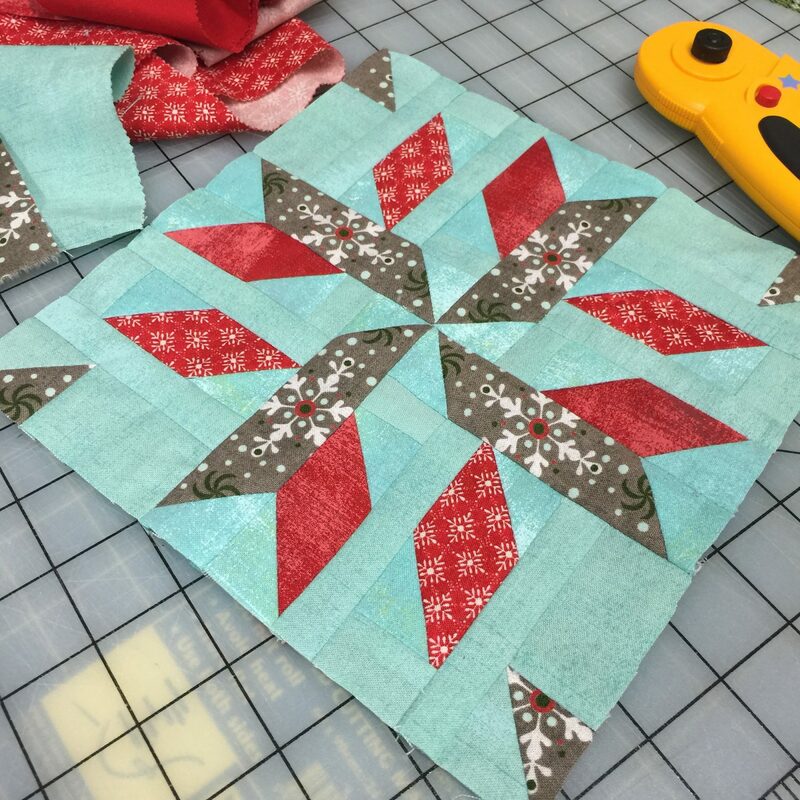 I used various prints from Moda Basic Grey Christmas collections to make the block, fussing cutting the snowflake design in the grey print. It’s not too late to join in the sew-a-long and have this festive quilt hanging in your house by Christmas or better still, gift it to someone you love. Details of the sew-a-long can be found here. Check Sherri’s site for tutorials on how to make the blocks each week. That is fantastic with those fussy cut pieces. Thank you Mary. I love fussy cutting. Beautiful block. You used a fabric collection that I fell in love with when I first saw it. I resisted buying for a very long time. Then while in a local quilt shop there it was calling my name once again so I had to buy it. I really love it in your block. Thank you Vicki. I love every Basic Grey collection. Love the fabrics and the block you did. Thank you. I loved making this block.